If you’re planning on one of those adventurous tours, you might want to review Panasonic HX-A500, the newly launched wearable action cam from the company which can even record 4k videos. Whenever we think of action cams, GoPro comes to our mind, but Panasonic is also trying to compete in this area. It had earlier released HX-A100 wearable action cam which can record full hd videos. The design of HX-A500 is apparently similar to that of HX-A100, except that the newly launched has 1.5-inch display embedded in the main unit. Panasonic HX-A500 is the first among wearable camcorders which can shoot 4k videos at 25fps. This framerate is low for action cam, but 4k segment is still not full-flourished niche. Think of it as supplementary feature for now! Apart from its 4k recording capability, it can readily shoot Full HD 1080p videos at 50fps, 720p at 100fps, 480 (848×480) at 200fps. Since, the action cam has two-part structure, the lens unit can be easily attached to helmet or near the ear for handsfree shooting. 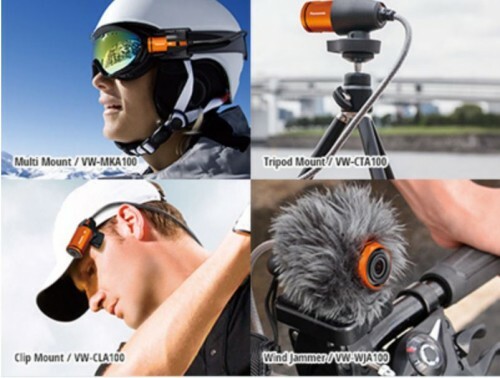 There are several types of mount accessories also available for various needs or different positioning like clip mount, multi belt, multi case, tripod mount, wind jammer, suction cup mount etc. Mount it to your head, or bike, or boat, or clip it to your shirt or place at any desired place in several different possible angles. 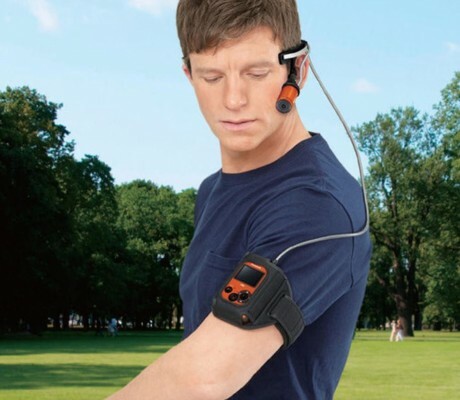 Add the desired angle to your documentary movies with Panasonic HX-A500 wearable action cam! 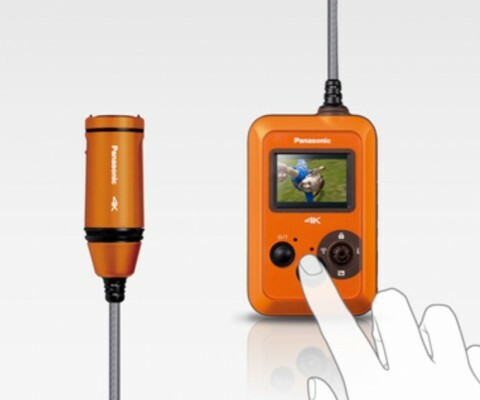 Want to record some under-water scenes, Panasonic HX-A500 will accompany you there as well. This action cam can be used to record upto 30 minutes of video upto 3m deep in water. It also has dustproof feature. Inbuilt image processing for stabilizing, leveling of titled shots and fine blurring. The LCD Display on the main unit is of small size i.e. 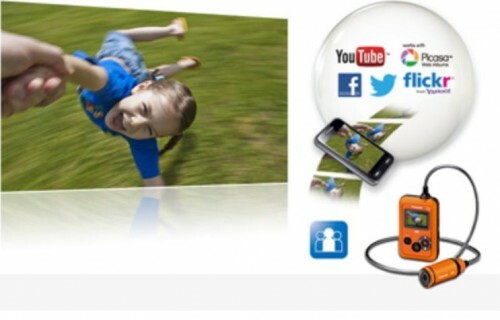 1.5 inch only and has very limited resolution of 115×200 pixels. There is inbuilt wifi and nfc connectivity as well for smart and easy sharing with your smartphones and tablet. It also supports live video streaming on the web (Ustream). The device can also be remotely controlled via smartphone app. 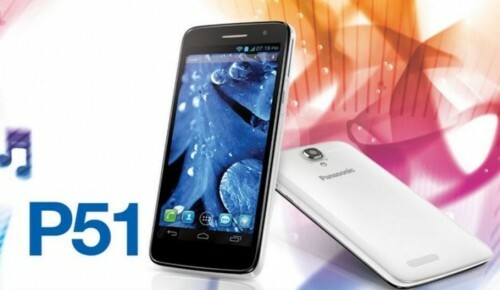 Panasonic HX-A500 will be released in May, 2014 at price of £379.99. The price and its availability details in other markets (US or others) are not yet available. Several types of mount accessores for different positioning and cases (clip mount, tripod mound, multi mount, multi belt, suction cup mount, etc). What it’s cost in Indian currency? How can I order it?